Considering I also need to eat, sleep and have a social life, anything that can save me some time or effort gets my attention. Throughout the years I've discovered a bunch of free tools I can use on my computer - I blog on a Chromebook laptop - that really make a difference, and I want to share them with you today! Yes, I know, Photoshop is by far the most popular photo editing software, so much so that the name has become a verb commonly used to describe the process of retouching a picture. But Photoshop is expensive, needs a powerful computer to run on (I won't give up my Chromebook), and let's be honest, it's very complicated. You can't open Photoshop as a newbie and do a good job editing your pictures without taking some kind of class or online workshop or reading a book. Ipiccy on the other hand is light as a feather and super easy to use, yet offers a surprisingly comprehensive range of options. First of all, Ipiccy is a web-based app. You don't need to download anything on your computer, you just need to open the website ipiccy.com. You can create an account, but you don't have to. Being logged in gives you access to a few extra features, such as the ability to work full screen. And of course, creating an account is also free. There are ads in the bottom banner, but they're easily concealed by an ad blocking plug-in such as AdBlock. 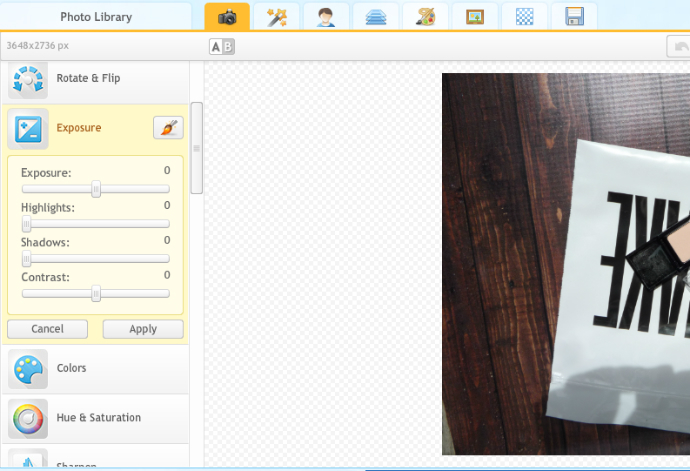 Ipiccy allows you to upload a bunch of pictures at a time so you can combine them with the Collage or Design modes. The Basic Editor tab include almost everything I'll ever need, from basics such as cropping, rotating, straightening, to advanced light and color settings. The ones I use for basically every single image are Crop, Resize, Rotate, Contrast, Highlights, Temperature, Sharpness, Clarity. I also regularly use the Clone Tool to remove that bloody speck of dust in my camera lens, and sometimes the Burn feature to take viewer's attention away from the background of my selfie pictures (my bathroom is not that interesting!). Beyond the classic photo editing options, many of which I haven't even fully explored yet, Ipiccy also offers a whole lot of photo effects, from Instagram-like filters to fun artistic effects. I wish I had more occasions to use them! I often apply one of the Vintage effects to the first picture of my posts. 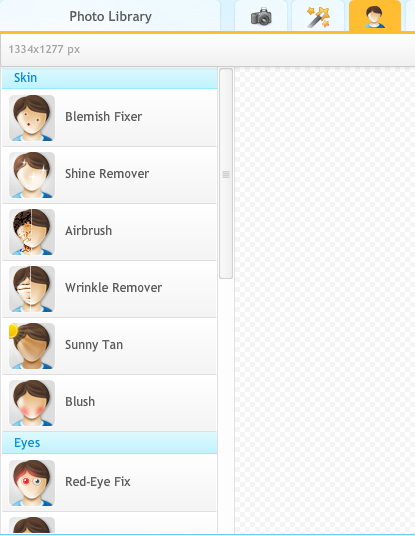 The Retouch tab offers pretty cool options to edit portraits - or selfies. I only started exploring the different effects a few months ago, and boom, all my pimples have disappeared. Magic! 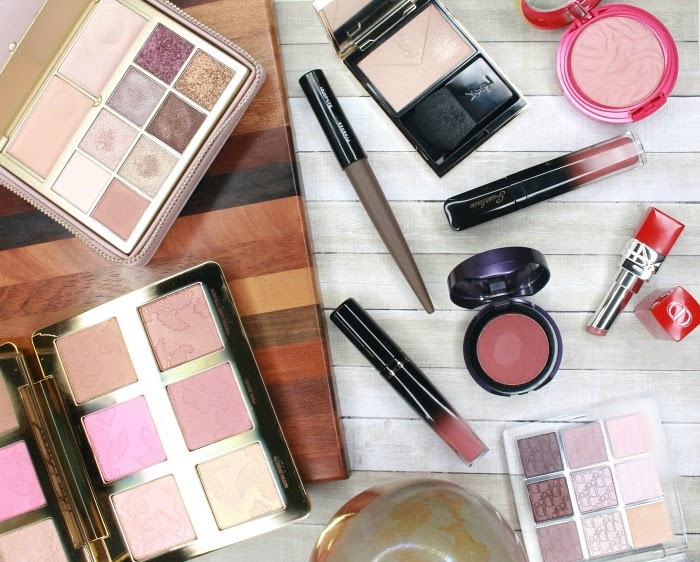 It's not limited to an Airbrush effect, there are multiple tools to erase blemishes, soften wrinkles, remove shine, even add blush, mascara or a tan! Also potentially useful for us ego-driven individuals in the modern age of Instagram, the Teeth Whiten, Thinify, and Liquify option (that last one is useful to reshape the oval of the face). 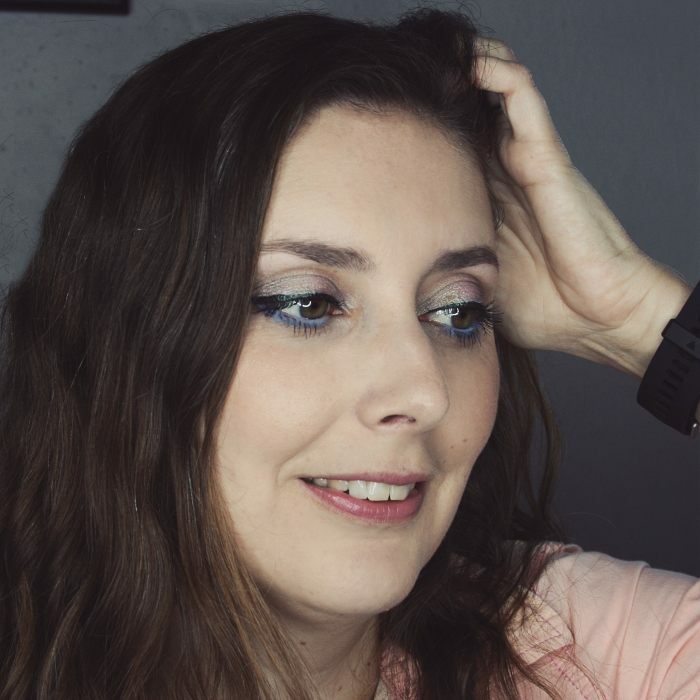 All these facial retouching tools should be used with extreme caution if you want to get a picture that still looks natural in the end, but boy do they work well. 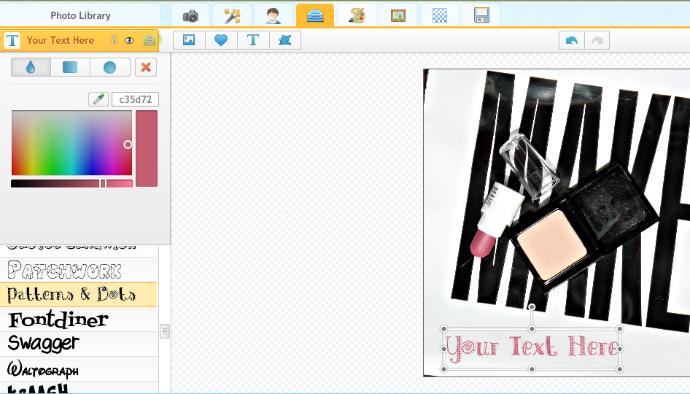 Next is the Blender tab, where you can add pictures, shapes and text overlay to the photo you're working on. The Add Text option offers a TON of fonts to choose from, and that's where I found my signature Channel Slanted font that I use for my watermark and blog title. 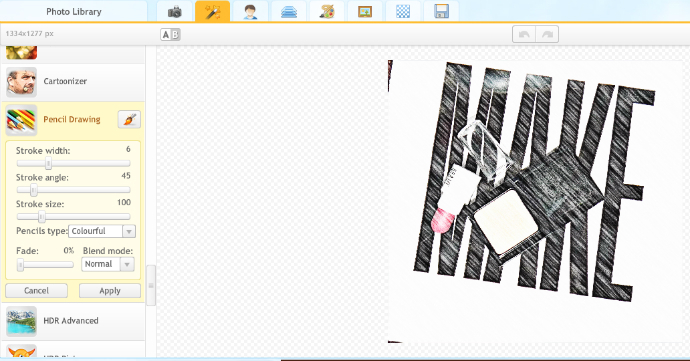 Everything is pretty intuitive, including the layer manager, so I had no problem figuring it out. I don't use the next 3 tabs much. The Painter allows you to draw on your photo, while Frames and Textures are self-explanatory. Once done with your photo, you can save it to your computer (or share it directly to Facebook), selecting the type of file and level of compression you want. The Pros: free, web-based so requires no installation, easy to use, comprehensive number of options, cool effects. The Cons: since it's web-based it's only as fast as your internet connection and their server can crash (only happened a couple of times in several years of use). The Collage and Design modes cause major resolution loss, so it's not the best tool to create beautiful collages (for a wish list or gift guide for example). No tool to easily cut out a photo from its background (at least not that I've found!). If you've been on Twitter for a while (I joined in 2011), you may remember a time when it was fun and manageable. When we were all following just a handful of people we knew in real life and a bunch of celebrities. Nowadays, Twitter has turned into a black hole if you ask me. It's still a great place to instantly connect with the entire world and discuss the news or keep up-to-date on important subjects, but the number of users and the amount of tweets generated every micro-second is totally overwhelming. 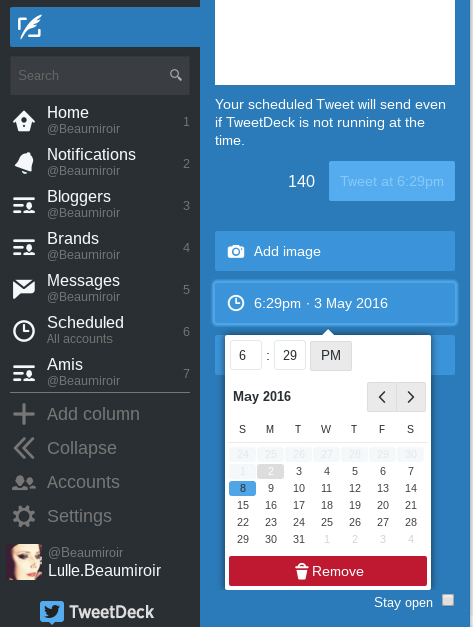 If you've been looking for a way to make sense of your Twitter feed, Tweetdeck is the answer. What Tweetdeck, another web-based app, allows you to do is view your feed from different angles at the same time. It uses columns, and each columns only shows the tweets it's configured to display. 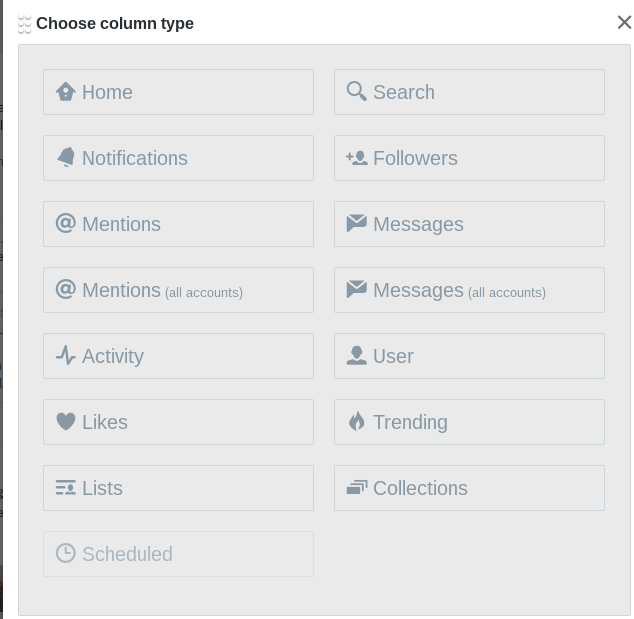 You can create columns that show the tweets of a particular user, tweets containing a specific hashtag (great for Twitter parties), a column for your notifications, one for your private messages, etc. Tweetdeck also works with your lists, so you can view all the tweets from people in one of your lists in a column. Columns are easy to add, delete and configure so your deck can be ever changing. If you have several Twitter accounts (one for your blog and one personal account for example), you can also view all your feeds, notifications and messages on the same screen. I currently have it set up with the following columns: Home (general feed), Notifications, Bloggers (from a list of bloggers I follow), Brands (also from a list of brands I follow), Private Messages, Scheduled (more on that in a sec) and Friends (from a list of personal friends). With my feed organized like that I never miss a tweet from a friend, I can see the latest updates from my favorite bloggers at a glance, and my notifications don't get all tangled the way they do on the original Twitter app. All my columns can't fit on my screen but I just have to scroll to the right to see them. Tweetdeck isn't just a Twitter viewer. It lets you follow/unfollow, create/update lists, and of course tweet. The awesomest feature of Tweetdeck is the ability to schedule tweets. Hooray! You don't have to spend your life on Twitter to tweet at the best times for you audience anymore! I often schedule tweets as far as a week ahead, and I've never run into a limit on the number of scheduled tweets. It also works perfectly well, sending your tweets to the world at the scheduled time with the reliability of a Swiss watch. The Pros: free web-based app, doesn't require download or installation. Super easy to use. Allows you to organize your Twitter feed so you can see what's important. You can schedule tweets in advance. The Cons: the feed doesn't refresh quite as fast as it does in the original Twitter app, and that can be annoying for Twitter parties. I've already talked about Gleam's Competitions features at length when sharing the results of my first giveaway so I won't do it again here, you can read my original post for all details. In just a few words: Gleam is the best app out there to easily create, run and complete a giveaway. It automatically checks the validity of entries when they are submitted to detect cheating attempts, its interface is very user-friendly, it offers live stats and allows you to pick a winner randomly. What you may not know is that Gleam offers a bunch of interesting features for bloggers and website owners beyond Competitions. One of them is called Captures, and it's currently in a free, beta version. 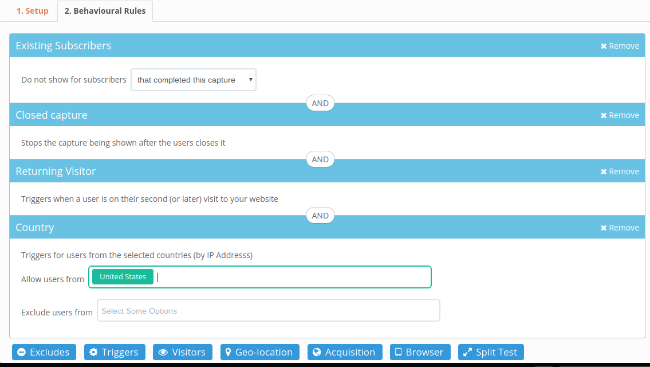 Captures basically allows you to create a "smart" popup suggesting your visitors to perform a specific action. You need to install a small piece of code first, then you can start using the feature. 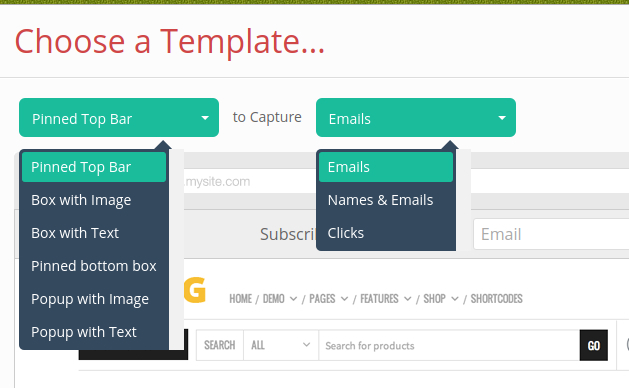 Although it was mainly created to help you collect readers' email addresses to grow your mailing list, the action offered can simply be to visit a particular page. 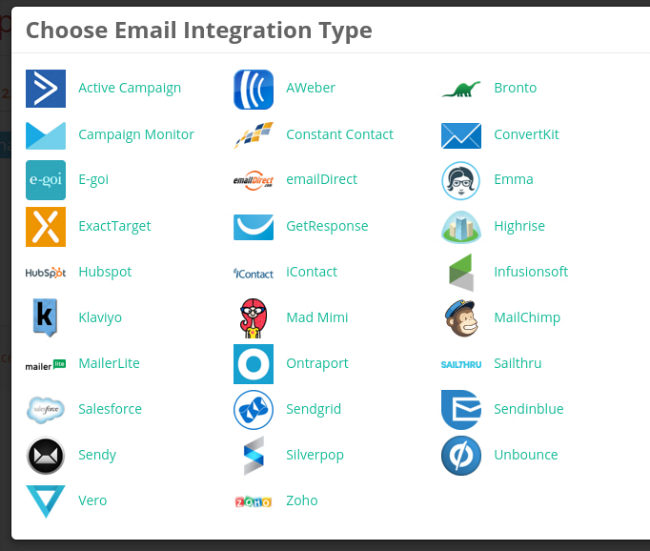 If you do use it to convince your readers to subscribe to a newsletter, it works with a whole bunch of mailing list management providers, from Salesforce to Mailchimp. Instead I used it to suggest readers to visit the page of my last giveaway during its entire duration. After a week the giveaway post wasn't on the home page of the blog anymore, so I thought it was a good way to inform readers that I had this event going on. I have only explored a small fraction of the options Captures offer, but I can tell you it's a great way to create a seamless popup on your blog. The first feature that I really liked was the ability to pick the type of your popup, including a bunch of non-invasive ones. I've been using the word "popup" for lack of a better one, but what you can create in Captures doesn't have to be the obnoxious, irritating classic popup box that interferes with your navigation. You can opt for things that don't interrupt your readers' experience, such as a bar that's pinned on top, or a box anchored at the bottom - that's the option I chose - neither of which cover the rest of your page. You can decide if your popup should contain an image or just text, and you can customize its appearance to match your blog layout. The other feature that makes Captures a "smart" popup generator is the ability to set Behavioral Rules. It can get a bit complicated here, but basically you can decide precisely who will see the popup and who won't, based on a large number of variables. The most simple rule would be to trigger the popup only for visitors who haven't yet completed the action you are suggesting, but not for those who already have. You can also pick who'll see your popup based on location, new visitor vs returning visitor, depending on where they came from to land on your blog, etc... You can really do some fine tuning here if you want to! I've done a little test box so you can see how it looks, it should be anchored at the bottom right of your screen. 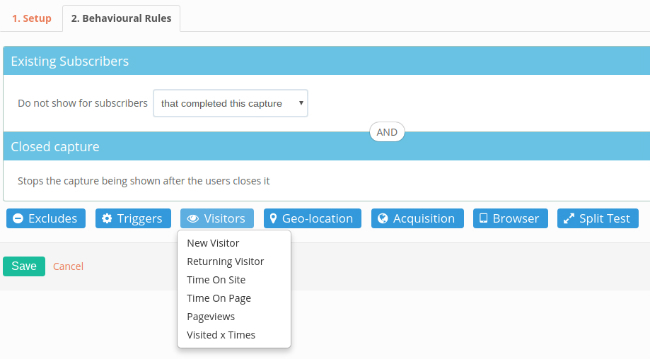 Once your Captures popup is live, you can see stats in the reporting tab, with the number of impressions, actions taken, and conversion rate. The Pros: Gleam Competitions is the best way to create a giveaway widget. Captures offers a lot of options to add a seamless smart popup to your blog, it's quick and pretty easy. All basic features are free. The Cons: with a free account you don't have access to some advanced features. Installing the code needed for Captures and setting rules for your popup requires a little bit of technical knowledge (but very little compared to what you'd need to create a popup from scratch). 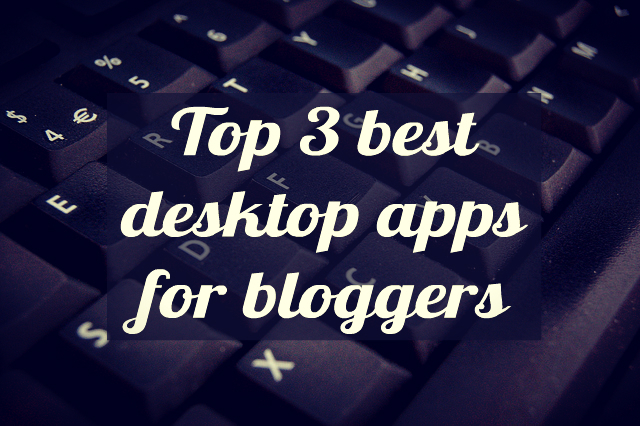 These are the 3 apps that really made a difference in my blogging life, and I hope they can help you too. 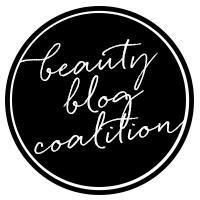 If you're a blogger, what are the apps or websites that you find the most useful?